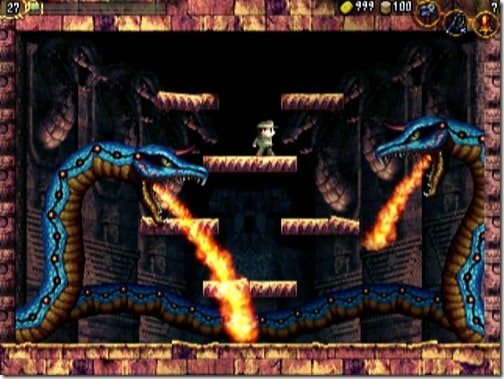 Nicalis have announced that they have cancelled plans to publish La-Mulana across Europe and North America. It’s hard to argue against such reasoning, Rodriguez also keen to point at the arrival of the Wii U in the not too distant future. “The decision to cancel publishing of La-Mulana was a tough call, but waiting two years for NIGORO to finish development has made it near impossible to sell sufficient units on Wii,” Rodriguez explained. “The WiiWare market has a fraction of the players from 2008. The window for release and success of software on the platform ended in 2009 and took a very steep decline. Players have moved onto other digital download platforms. “La-Mulana was originally developed without DLC in mind and, I think being their first console project, that NIGORO got a bit ahead of themselves and spent two years agonizing on getting the DLC sort of working for Japan.